1) The Athens City Police wants information regarding numerous vehicles being broken into. Most reports were filed between September 12th and September 14th with the thefts believed to have happened the previous weekend of the Friday the 9th through Sunday the 11th. Items such as loose change, a GPS device, golf clubs, a Boston cap and a stereo amp were taken during the vehicles being entered.Even somewhat scattered throughout town, the majority of vehicles entered were on the parking lots of University Commons, College Park Condos, Station St. apartments and Milliron. 2) During the past several weeks, since the start of Ohio University's fall quarter, the Athens City Police have received several burglary complaints in the off-campus housing areas. The complaints stem from an unknown person or persons entering unlocked residences and taking only lap top computers that are located inside the residence. Anyone having information regarding these burglaries and anyone attempting to sale or otherwise dispose of lap tops, the city police are interested in your information. 3) The Athens City Police also want information regarding the Athens Elks Lodge 973, located at 600 W. Union St., being broken into early Wednesday morning, September 21st. Unknown person or persons gained entry into the premises by disabling the alarm system and forcing open a door on the building. Once inside the club, safes were physically forced opened and cash money removed. 4) The Athens City Police and the Athens office of the Federal Bureau of Investigation is seeking your information regarding the Wesbanco robbery during the early afternoon hours of Tuesday September 6, 2011. 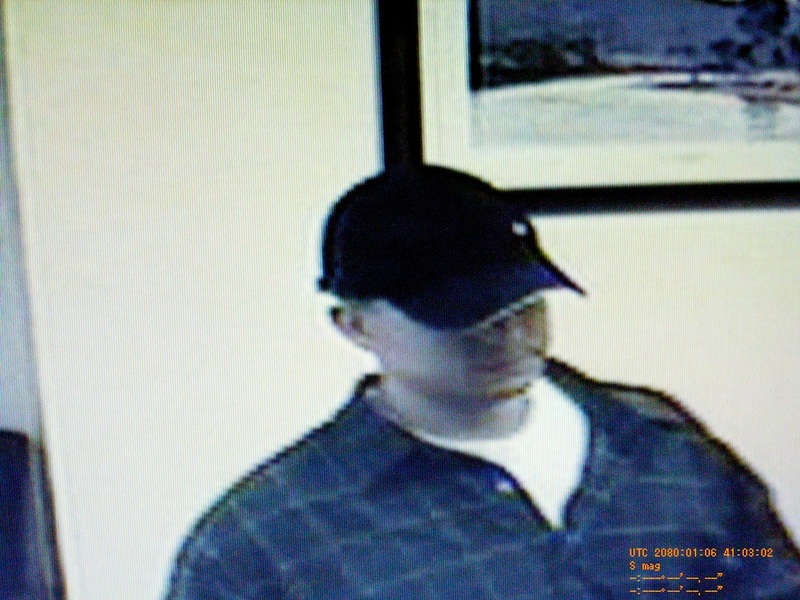 At approximately 12:44 p.m., a lone white male, clean shaven, estimated to be between 20 and 30 years of age, wearing a black baseball cap, a heavy flannel shirt with green in the design over a white shirt and jeans entered the bank at 505 Richland Ave. The suspect went to a teller where he presented a note, indicating he had a weapon and demanding money be given to him. The suspect was last seen leaving the area on foot, going south on Richland Ave.
On July 22nd, 2011, another breaking and entering was attempted into the business but the suspects were scared off and fled on foot towards the Hope Dr. apartments. 2) The Nelsonville Police Department is requesting your information regarding the breaking and entering of the Nelsonville Coins and Collectibles Gun/Pawn Shop. The breaking and entering occurred on the morning of Saturday February 12th, 2011 between the hours of 6:00 a.m. and 7:00 a.m. A white male, approximately 6 foot tall, thin build with brown hair was caught on video surveillance breaking out a window and entering the store. Once inside, the suspect was able to remove seven firearms from the store along several boxes of ammunition. 3) The Athens City Police are requesting your information on an attempted armed robbery. On Tuesday May 24th, 2011 during the afternoon hours, two black males suspects entered a residence on W. State St. in Athens. One of the men brandished a pistol and demanded "the nice stuff". Two college age residents, one male and one female, were home at the time. One victim was able to flee from the house and called 911 from a neighbors home. When the victim fled the residence the suspects gave chase and then fled the area. Nothing was taken and there were no injuries. The suspects were last seen running towards the backyard area of 74 W. State St. The suspects were described as follows: Suspect #1: Black male, approximately 5'11" tall with a thin, muscular build. He was wearing jean shorts, a dark colored shirt, black dew rag and black baseball cap Suspect #2: Black male, heavy set, approximately 205 pounds. He was wearing long jean shorts and a blue striped shirt. 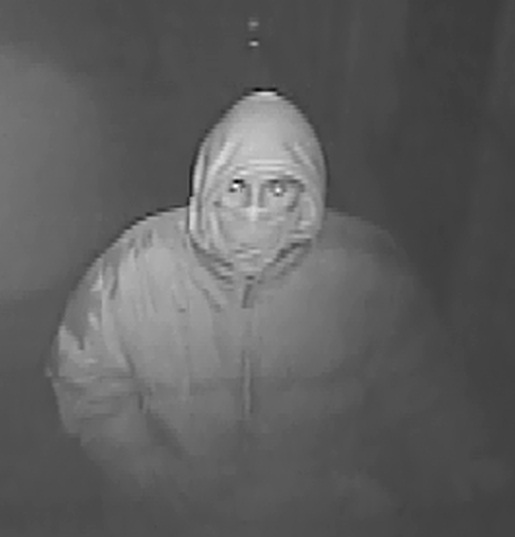 4) The Nelsonville Police Department wants your information regarding a breaking and entering of a local business sometime during the late evening hours of Monday, May 23rd and the early morning hours of Tuesday, May 24th. The Carter's Lumber was forcibly entered by the unknown subject or subjects who were able to remove numerous power nailers from their shelf without setting off the alarm. 5) The Nelsonville Police Department is requesting your information regarding the breaking and entering of the Nelsonville Coins and Collectibles Gun/Pawn Shop. The breaking and entering occurred on the morning of Saturday February 12th, 2011 between the hours of 6:00 a.m. and 7:00 a.m. A white male, approximately 6' tall, thin build with brown hair was caught on video surveillance breaking out a window and entering the store. Once inside, the suspect was able to remove seven firearms from the store along several boxes of ammunition. 6) The Athens City Police are requesting your information regarding a 2003 homicide that remains open to this date. In the early morning hours of Sunday, March 9th, 2003, twenty-three year old, Ohio University student Terris L. Ross, known to his friends as T-Ross, was shot from behind in a cowardly act. Ross, who was giving a friend a ride home from the up-town area, received a phone call from an acquaintance, who requested to meet with Ross at the parking lot of the University Commons. Upon their meeting at approximately 2:21 a.m., the suspect climbed into the back seat of Ross' car where he then produced a small caliber handgun, unbeknownst to Ross, and begin shooting at Ross, while Ross sat in the front seat with his back to the suspect. After shooting Ross several times, the suspect then turned the weapon on Ross' friend, from behind also, and began shooting at the friend who was talking on the phone, striking him once. As a result of being shot from behind, Ross died immediately in the front seat of his car while his friend was later treated and released from a hospital in Columbus, OH. 7) The Athens City Police also want your information regarding the armed robbery of an Ohio University Student on that occurred on Byard St., near the intersection of Maple St. On St. Patrick's Day, at approximately 10:00 p.m., a female was walking home when she was a white male, approximately 5'08" tall with a slim build, no facial hair and who appeared to be of college age. The suspect, wearing a black hoodie that was pulled up over his head, showed a pistol that he had and demanded the students bag and then took it from her shoulder. The suspect then fled on foot towards Maple St.
8) The Ohio University Police and the Athens City Police are seeking your information regarding several sexual assaults that occurred over the weekend of March 28th. A female Ohio University student reported that she had been pushed down and grabbed by a man around 2:00 a.m. near College Street. The man had followed her south on College St. and down a flight of stairs to the lower Seigfred Hall parking lot. At this location, he pushed her to the ground and grabbed her buttocks. 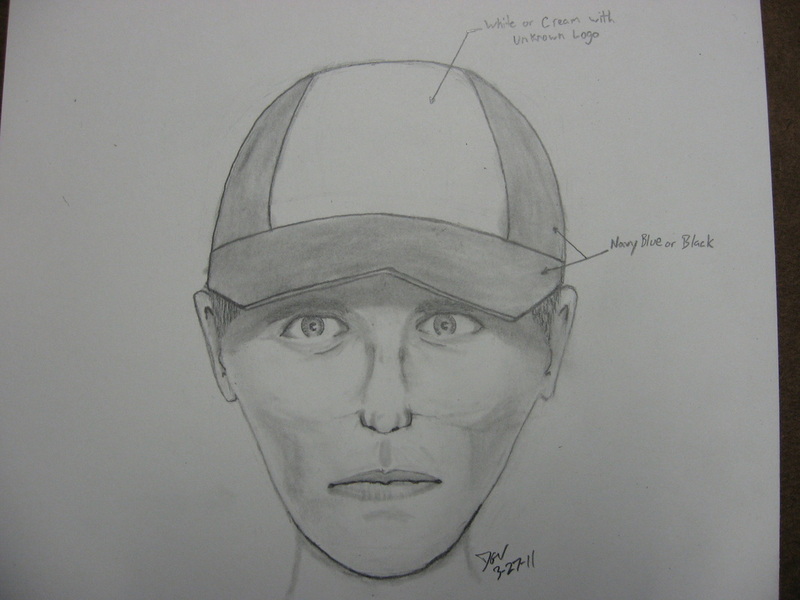 Composite picture of assailant is below. The OU survivor described her assailant as a white male in his early to mid 20's, approximately 6' tall, weighing 150-160 lbs with short blonde hair. 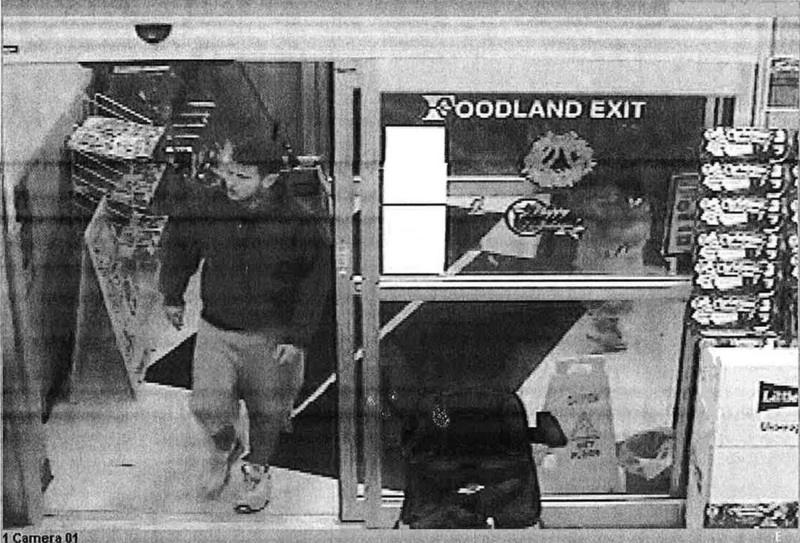 He was wearing a gray fleece top with a hood over a dark colored ball cap, along with blue jeans and black tennis shoes. The second survivor described her assailant as a white male with short blonde hair, approximately 5'09" to 5'11" tall and weighing 150-160 pounds. He was wearing a gray fleece shirt with blue jeans and black skateboarding style shoes. The person below is a person of interest concerning the passing of counterfiet $100 bills. If you have any information you may be entitled to a reward!